The tech world seems to hold its breath whenever Apple gets set to roll out a new version of its all-important mobile operating system. The latest iteration — iOS 11 — won’t be available for most users until this fall, although many iPhone and iPad early adopters are already testing the waters with the iOS 11 public beta unveiled June 26. In the wake of major Apple updates like this, a few things are certain: a handful of changes will make users blissful, irate or (more likely) both, and the changes will require some serious adjustment periods for app developers. However, if you’re one of the savvy coders who have the lay of the iOS 11 land before his or her contemporaries… well, that’s an advantage you can turn into a better job or, at least, better results for your iOS creations. The Complete iOS 11 Developer Course and iOS Mastery training bundle is ready to give you that leg up right now, long before alerts for iOS 11 updates start landing in Apple customers’ dialogue boxes. And it’s just $29, over 90 percent off from TNW Deals. With this package, you’ll get access to five separate courses, each offering some valuable knowledge for novice and experienced coders alike about best practices while navigating the new iOS 11 waters. 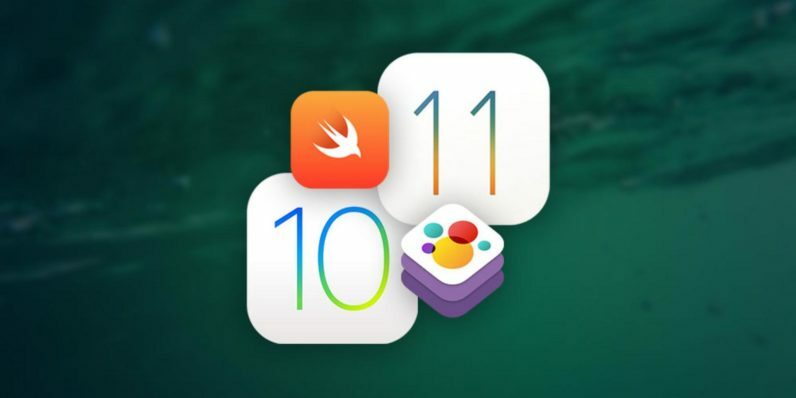 Your study begins with a pair of mammoth courses, each sporting over 100 hours of instruction: The Complete iOS 10 Developer Course and The Amazing iOS 11 Course. With iOS 10 Developer, you’ll start by learning all the groundwork already in place before the iOS 11 rollout. You’ll be fully immersed in the intricacies of the iOS environment, as well as iOS 10’s most hailed new features, including its improved artificial intelligence and Siri functionality. As you move to iOS 11 training, you’ll get your hands dirty building 30 different apps from scratch with the help of iOS 11’s best native arenas, including Xcode. Next, you’ll slip into game development with the introduction to SpriteKit: Build Practical Games course. In Apple’s proprietary arena for creating cool, graphic-enhanced, battery-efficient 2D game framework, you’ll use aspects of both coding and design to build several games from the ground up, including clones of such hits as Breakout, Pong and Space Invaders. Once you’ve constructed your gaming marvels, you’ll even be able to put them up for sale in the Apple App Store. Finally, you’ll examine Apple’s own proprietary programming language Swift 3, the foundation for creating amazing Apple Watch and Apple TV apps. In Ultimate tvOS Guide for Beginners: Learn to Code In Swift 3, you’ll craft a Quiz app, a Dialogue Tree app, and an Interactive Story app as you begin to understand the resources available in Apple TV’s operating system. Meanwhile, in WatchOS Beginner Crash Course: Learn to Code In Swift 3, you’ll further explore the possibilities of what you could do building useful apps for the Apple Watch. Each of these five courses has a retail value of at least $200, but banded together in this limited time deal, you can pick up all five — well ahead of the iOS 11 release — for just $29.